Zone 3. 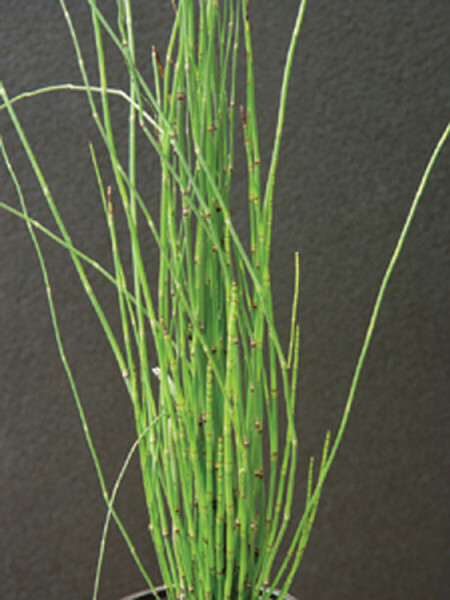 Horsetail. Jointed stems, very distinctive. Cylindrical habit when grown in a container. Semi-evergreen. Tolerates some shade. Prefers very shallow water to moist soil. 3' tall.